R. KELLY: If I could turn back the hand of time. 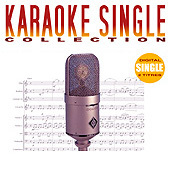 Version Karaoke professionnelle au format MP3 du morceau If I could turn back the hand of time de R. KELLY pour chanter et faire du karaoke. Contient toutes les parties musicales sauf le chant principal.